These counselor meetings are open for any parents to attend and ask questions. Mrs. Griffith, one of the counselors at Bob Jones High School, stated that “last year, we had parents attend that are new to Madison City Schools, rising freshman students, and parents with questions about courses.” Some of the topics discussed include four-year plans, various academics, AP courses, COOP opportunities, and dual enrollment credits. 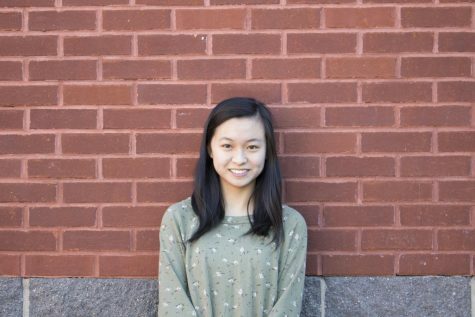 “There will be a few new courses offered next year and we are starting registration at an earlier date than last year,” noted Mrs. Griffith, making these meetings the perfect chance to become aware of all the opportunities. 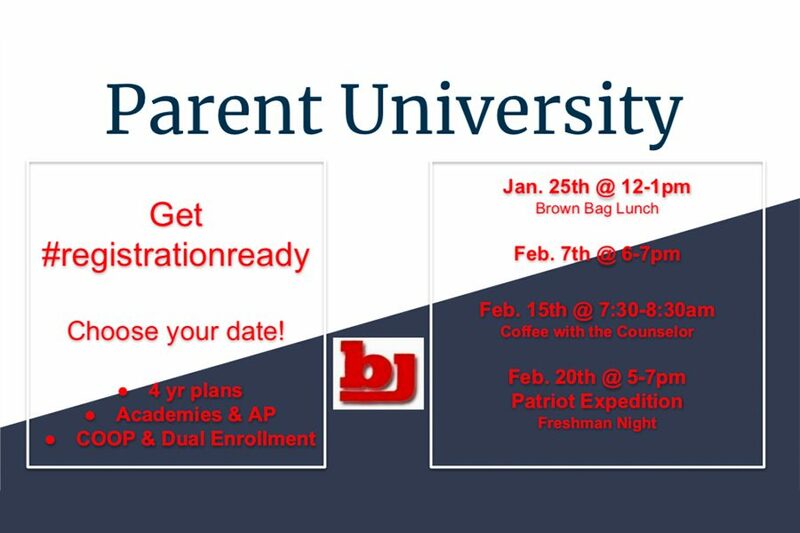 Don’t worry if you missed the first Parent University Counselor Meeting, because there are several other meeting times before registration. “We actually did one last year and it was well received before registration, so we thought we would offer three this year at different times during the day to make it more accessible for anyone that would like to attend,” said Mrs. Griffith. The other Parent University Meetings will be held on February 7 from 6:00-7:00 p.m. and February 15 from 7:30-8:30 a.m. (Coffee with the Counselor). In addition, the Patriot Expedition Freshman Night on February 20 from 5:00-7:00 p.m. will give upcoming freshman the chance to get their first glimpse of high school courses. After these meetings, registration packets will be distributed on February 19. For anyone with further questions, counselors will be open to appointments from February 25 to March 8. Rising freshmen can make individual counselor appointments at Discovery Middle School, while the rising sophomores, juniors, and seniors can make individual counselor appointments with their counselor at Bob Jones High School. After entering in requests in INOW, all registration materials will be due by March 13. If you have any questions, feel free to contact your counselor about upcoming opportunities for the next school year!